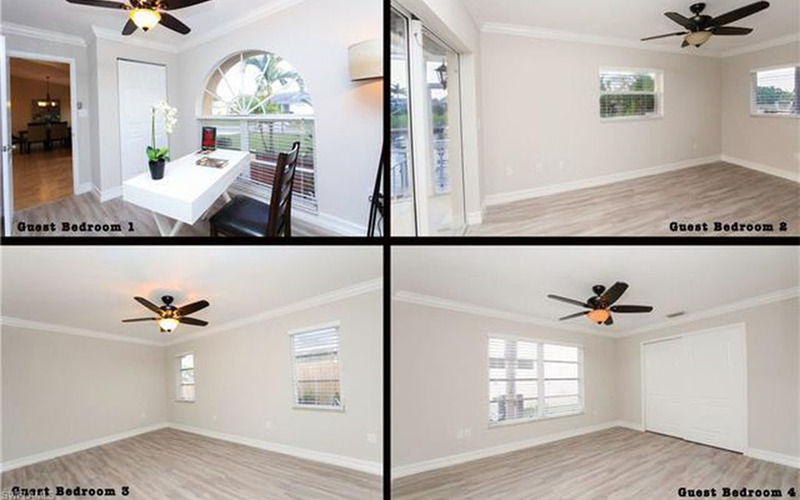 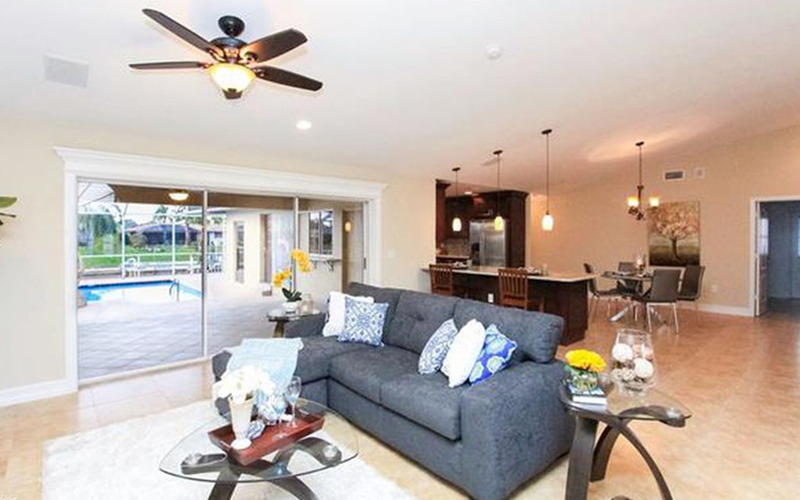 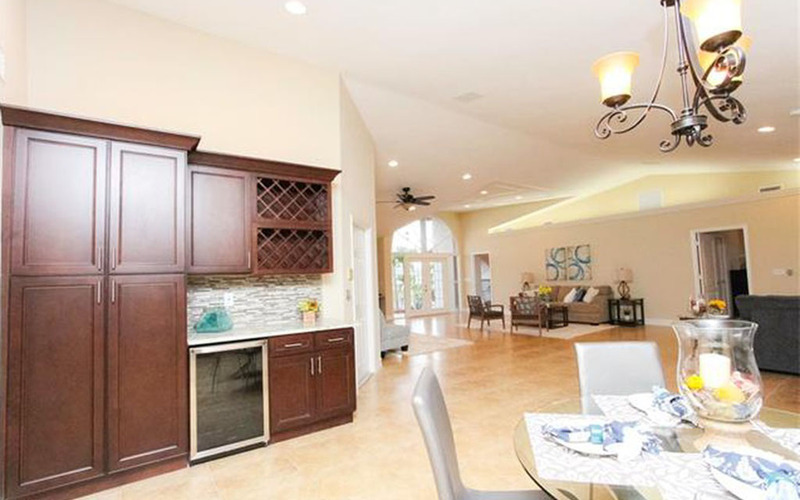 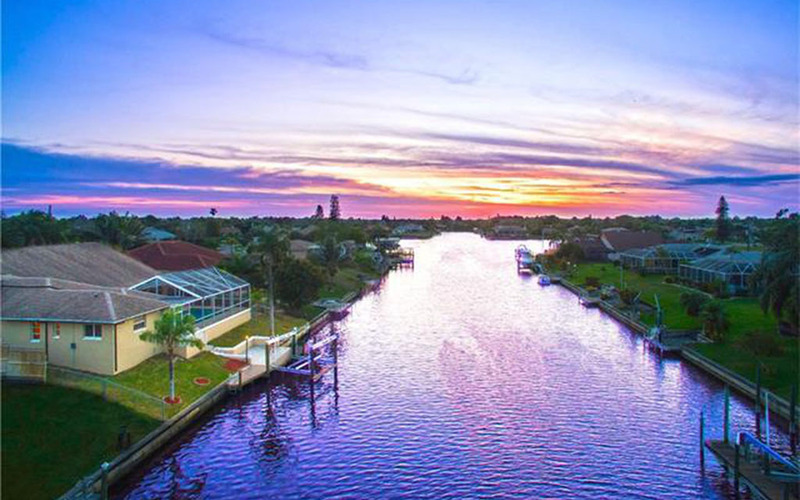 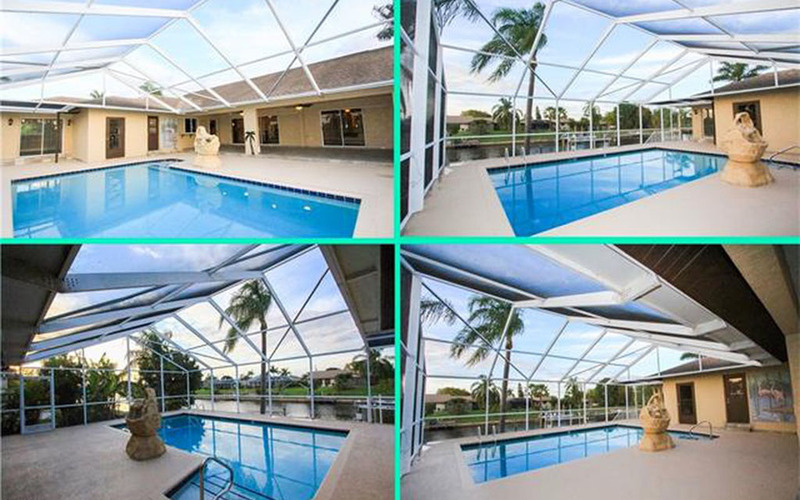 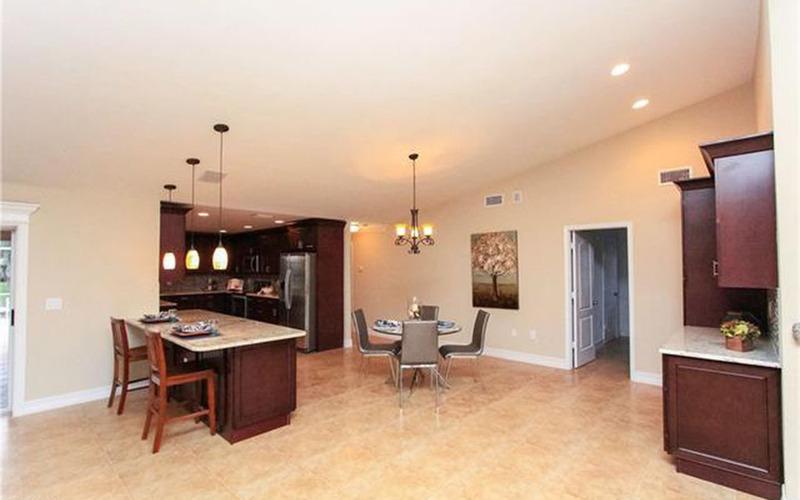 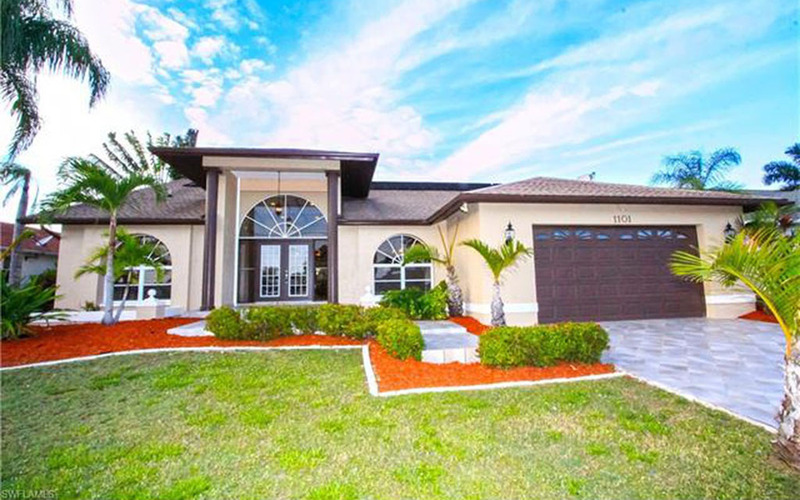 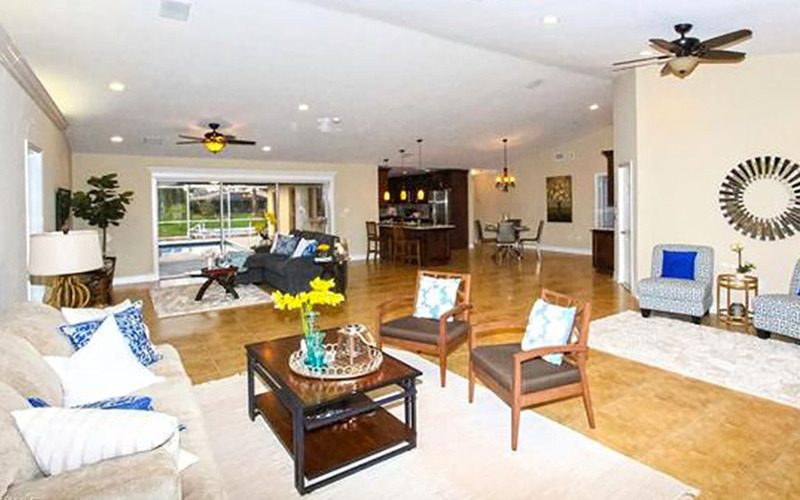 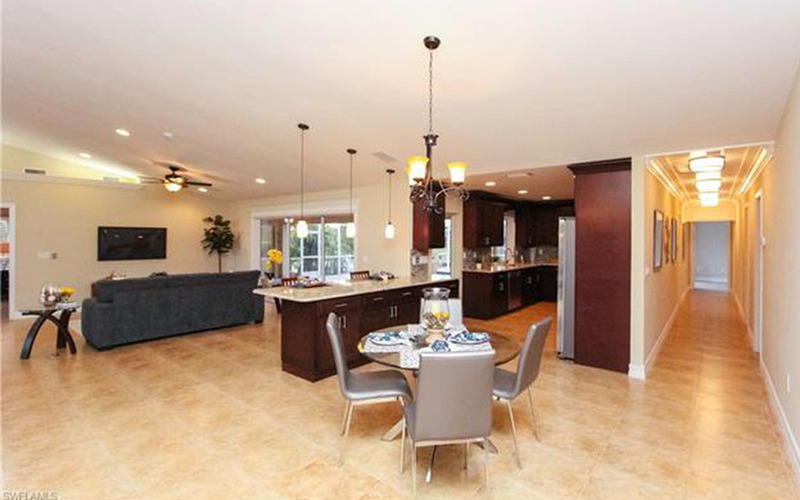 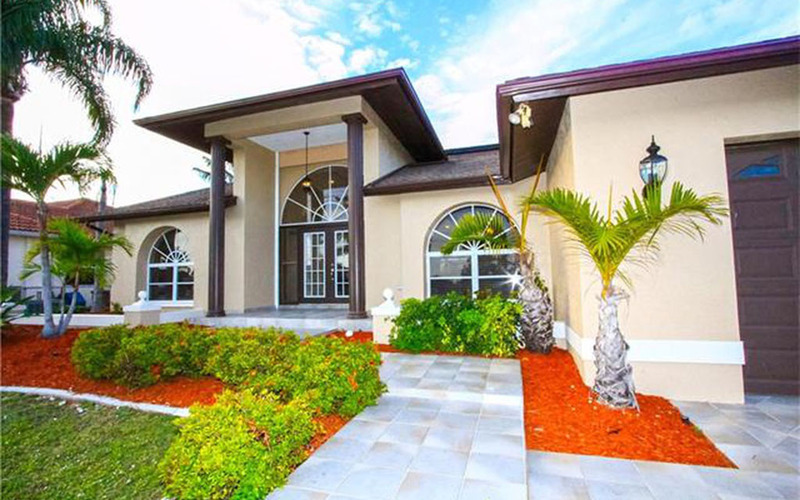 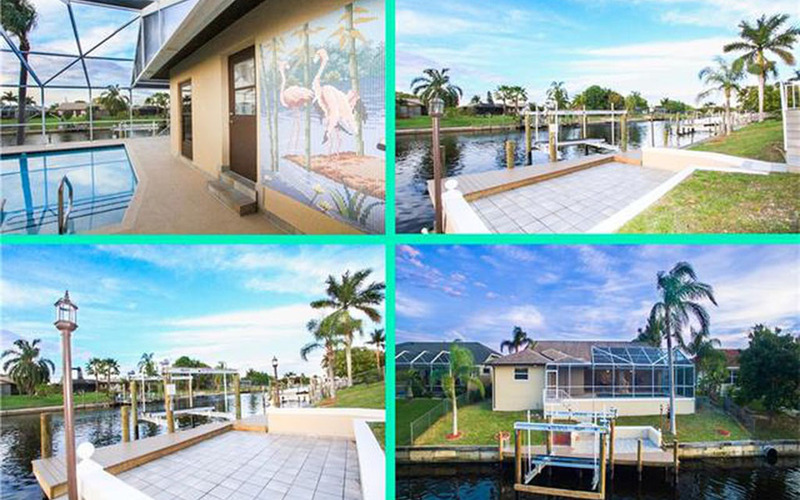 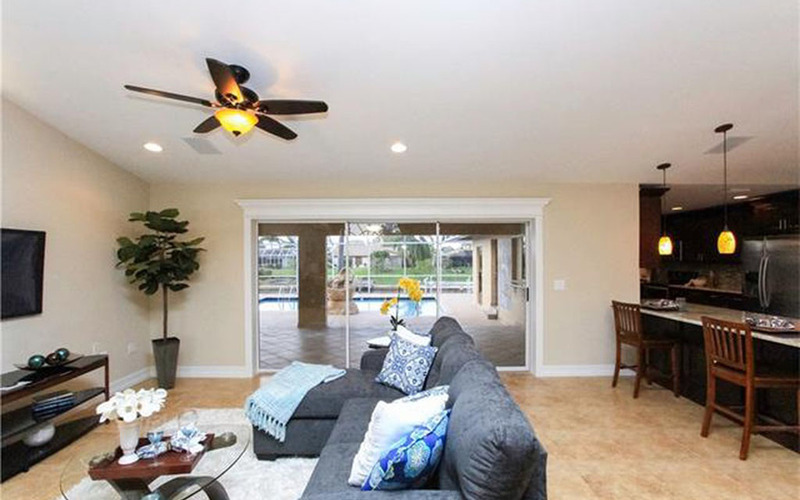 This 5 Bed, 3 Bath, 4-Car Garage, 3020 sqft Gulf Access Pool has undergone a No Nonsense Luxury Renovation w/over $144K in Permitted Luxury Upgrades. 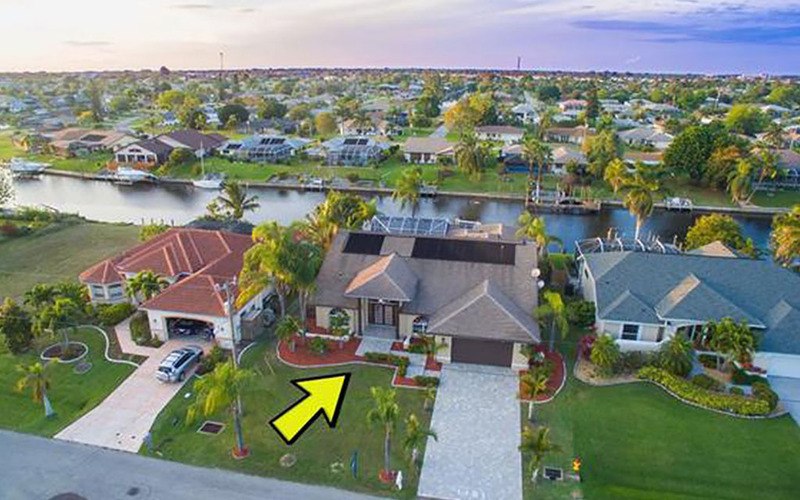 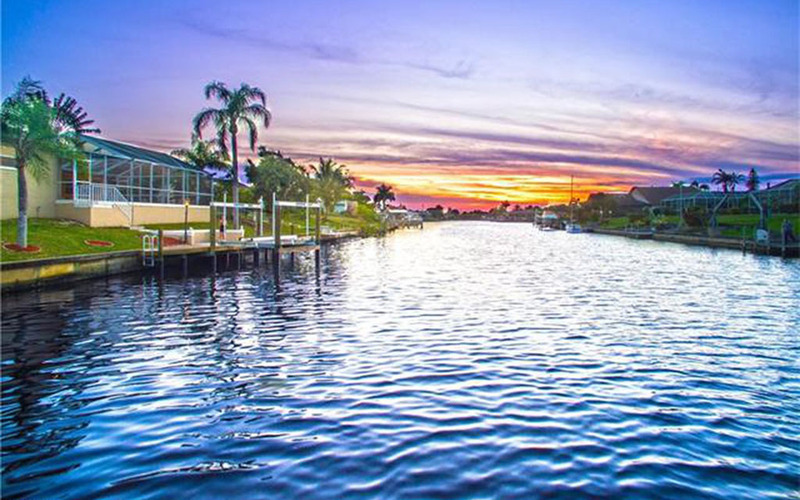 Outside there’s a New State of the Art 14Klb Boat Lift w/Composite Captain’s Walk, a Custom Tiled Extended Driveway & Walkway, New Designer Paint, etc. 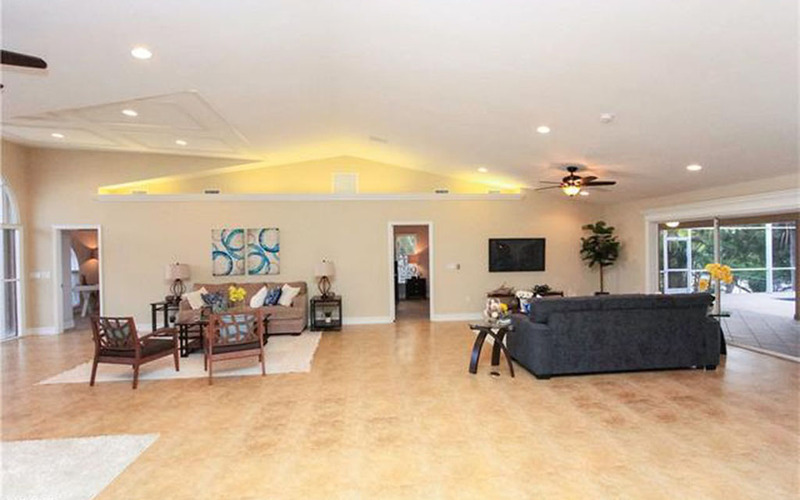 Inside there’s a Grand Front Entry w/a Custom Cased Ceiling w/Recess Lights, New 20″ Porcelain Tile w/Driftwood Floors in the Beds, 5″ Baseboards, Custom Wood-Cased Pocket Sliders, 2 Living Rooms, a Family Room & Formal Dining Room. 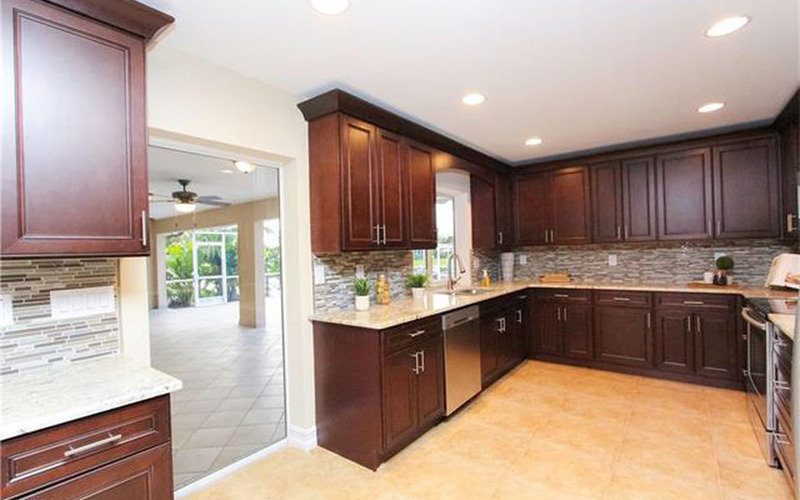 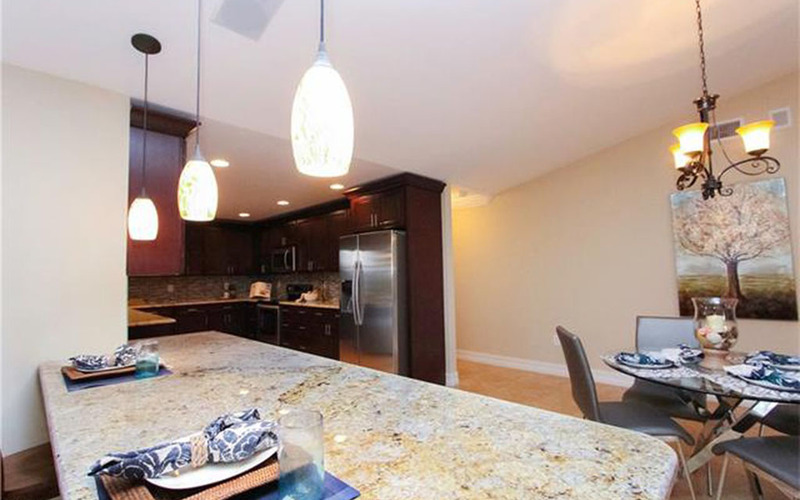 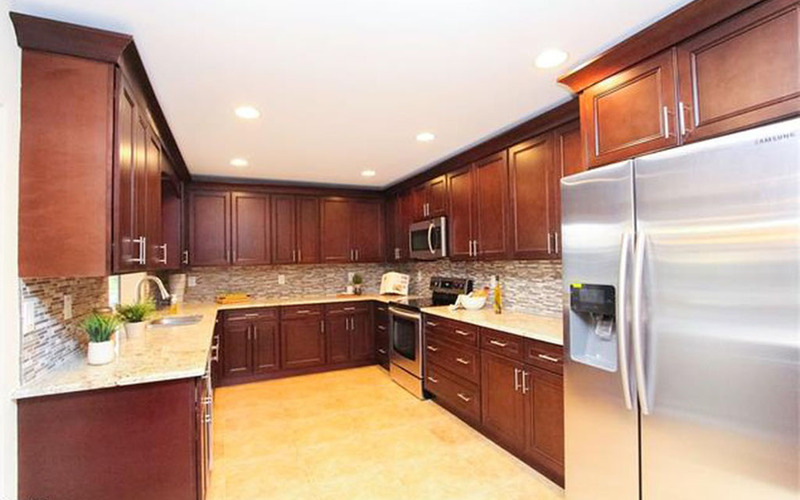 The Elegant Kitchen has New Wood Soft Close Cabinets w/Crown incl a Custom Wine Area w/Wine Fridge, Exotic Granite, Glass Mosaic Backsplash, Samsung S/S Appliances & Direct Water Views. 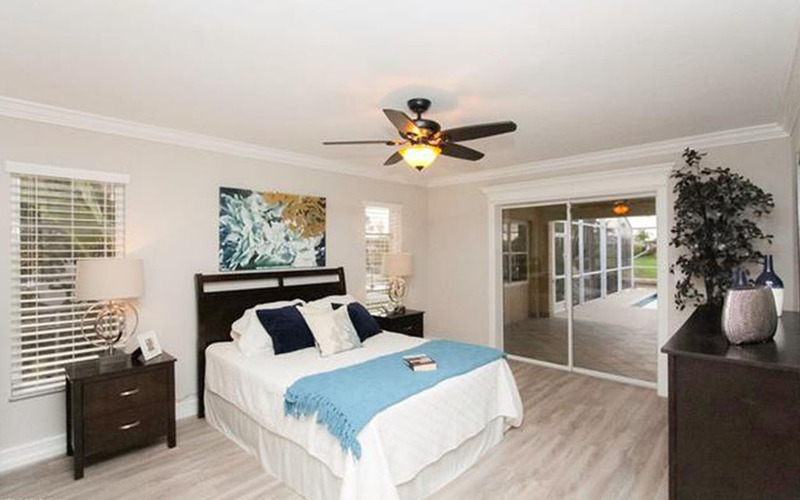 The Lavish Master Suite has a Custom Tiled Wall w/Mosaic, a Free Standing Tub, Walk-in Shower w/Rock Floor, Dual Sinks, Exotic Granite, 2 Walk-in Closets & Sliders out to the Newly Resurfaced Pool. 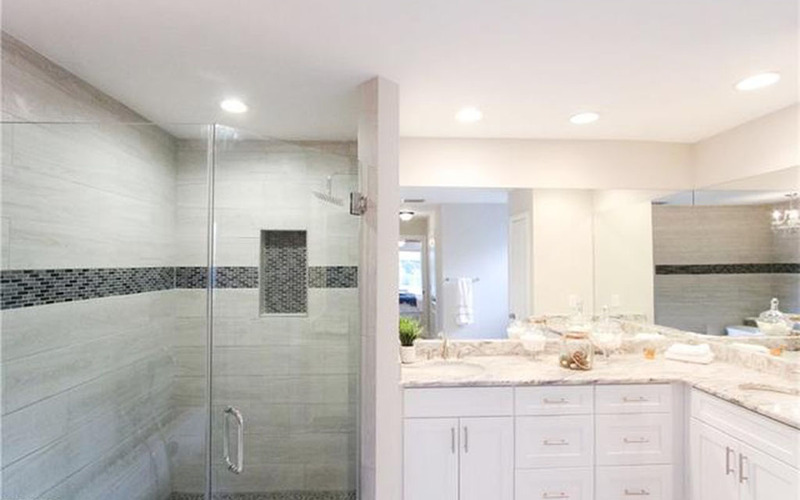 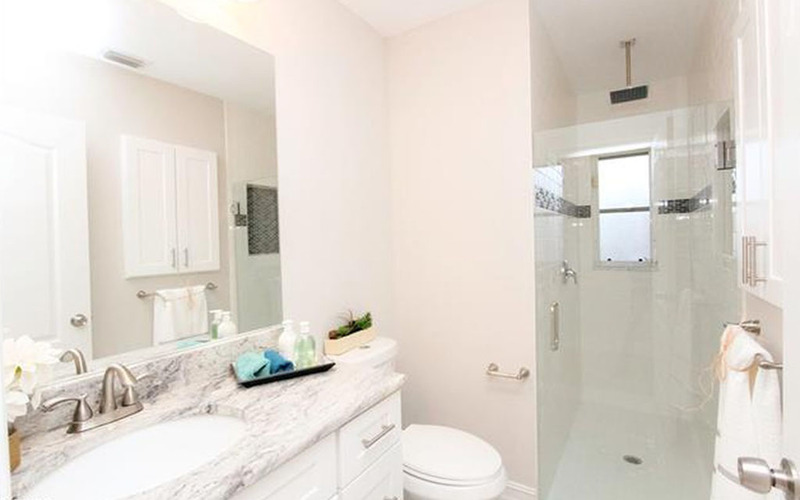 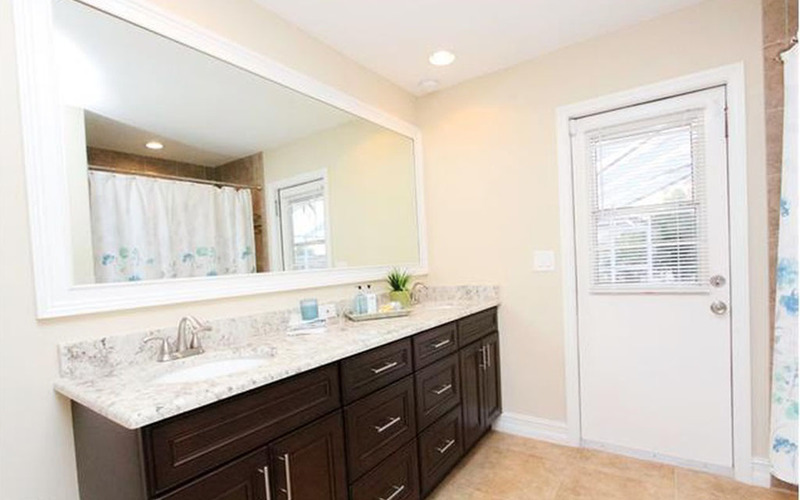 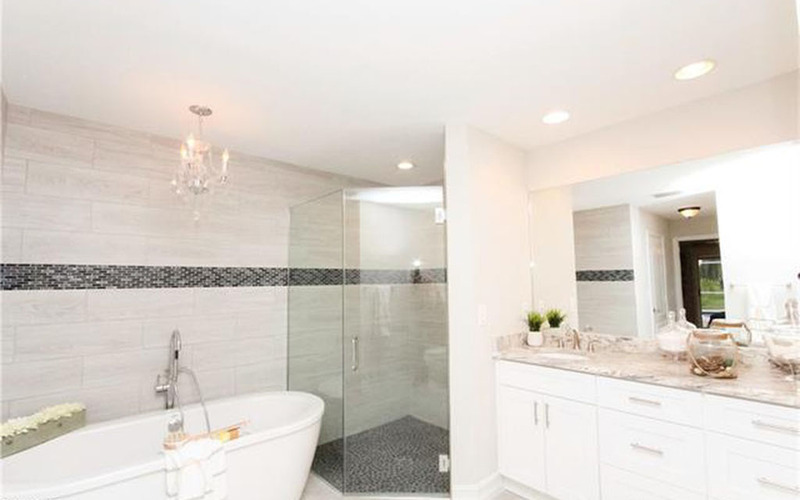 The 2 Luxury Guest Baths have New Vanities w/Exotic Granite, Custom Tiled Showers w/a Rain Shower in the MOTHER-IN-LAW Bath, New Fixtures, Lights & Mirrors. 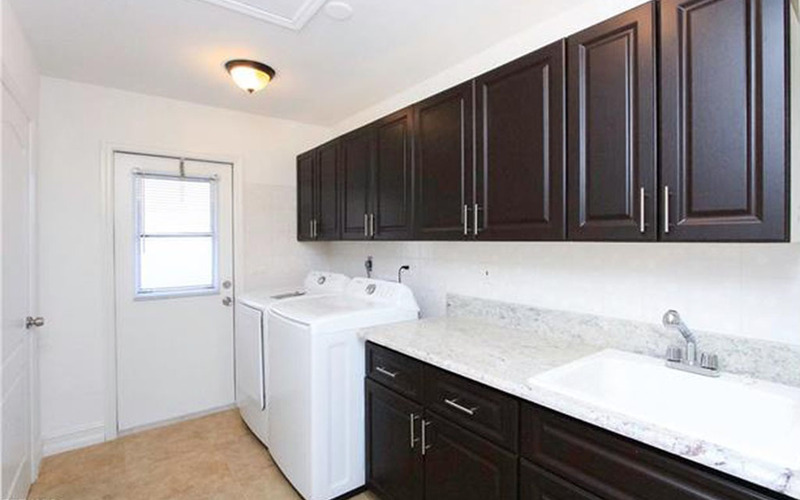 Even the Laundry has Exotic Granite w/Samsung W/D & 2 Walk-in Closets. 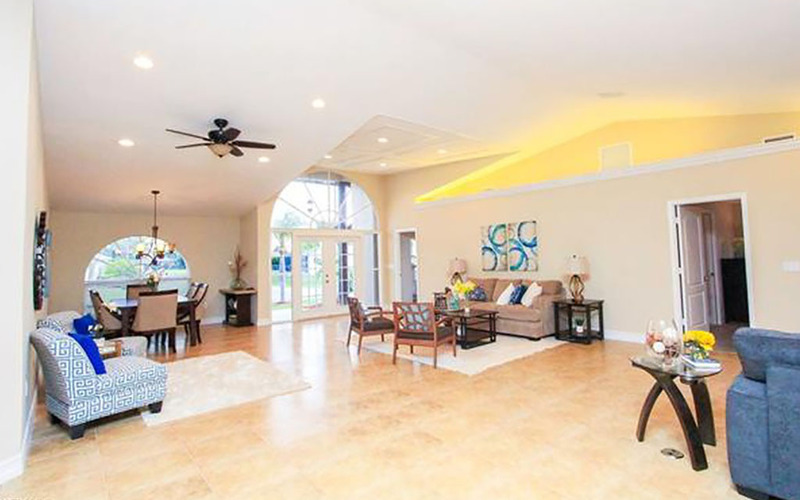 The 4-Car Garage is a Car Enthusiasts dream.